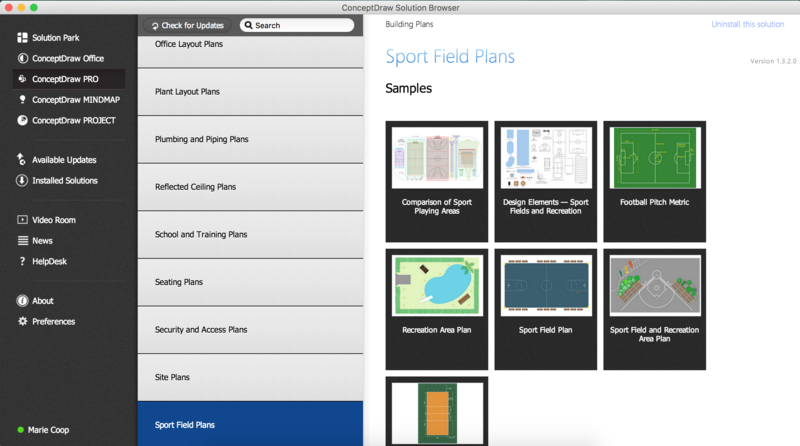 ConceptDraw has templates for designing Sport Field Plan. Use this template to develop the site and floor plans, design and layouts of sport fields and recreation areas. ConceptDraw has 1493 vector stencils in the 49 libraries that helps you to start using software for designing Sport Field Plan. You can use the appropriate stencils from Sport Fields and Recreation library with 19 objects. 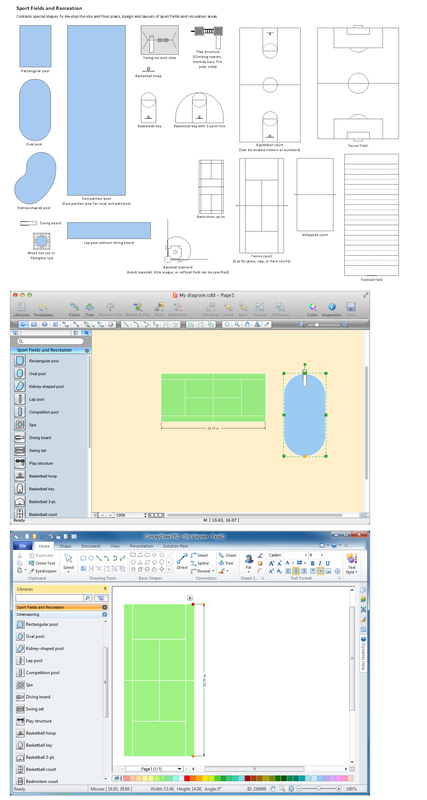 Solution Building Plans from ConceptDraw Solution Park provides vector stencils libraries with design elements for drawing Sport Field Plans. Use ConceptDraw DIAGRAM diagramming and vector drawing software enhanced with Building Plans Area to draw your own site and floor plans, design and layouts of sport fields and recreation areas. A better plan with ConceptDraw!